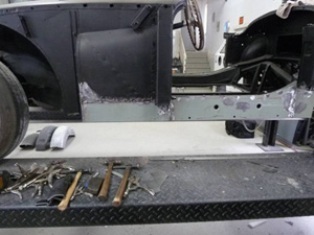 There was plenty of rust and bondo in the old body that needed replacement. 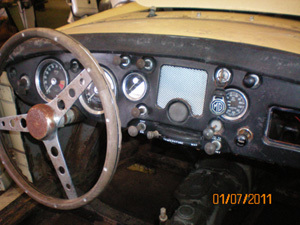 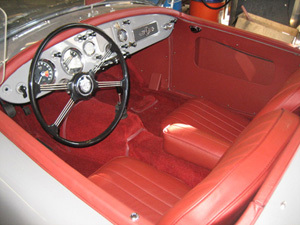 The original interior	and the new finished project. 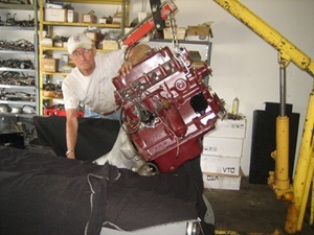 While the engine was out we cleaned and repainted it before slipping it back in.